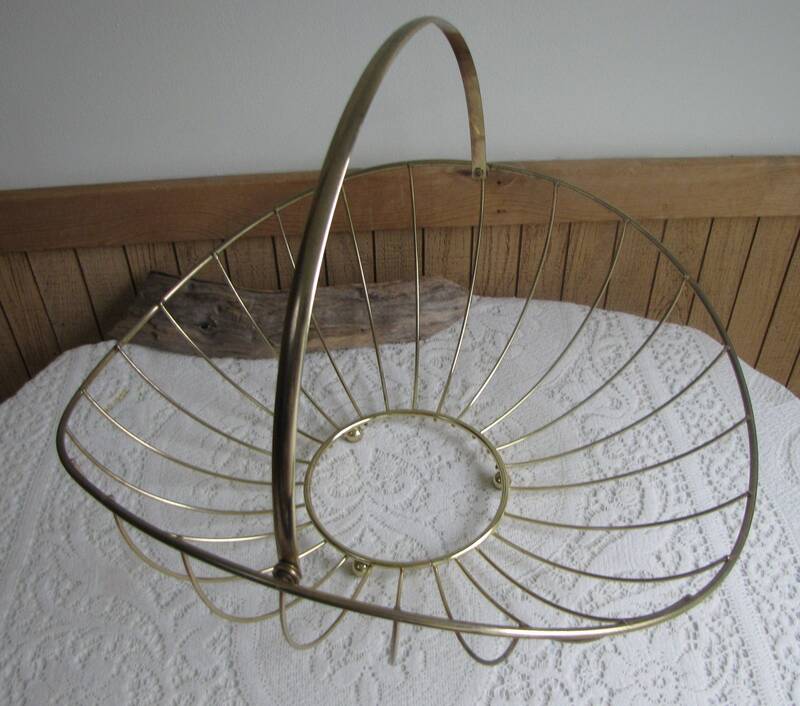 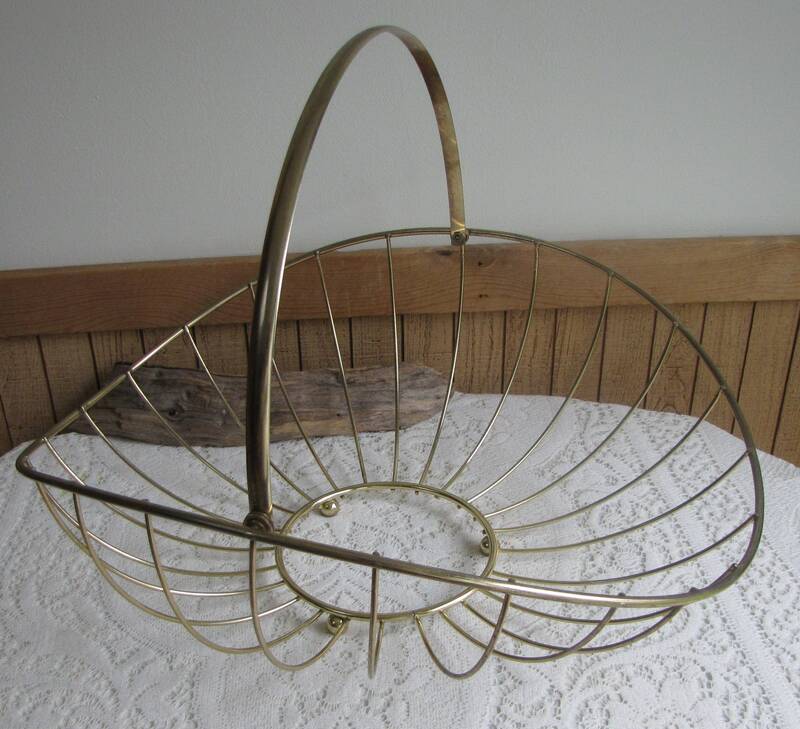 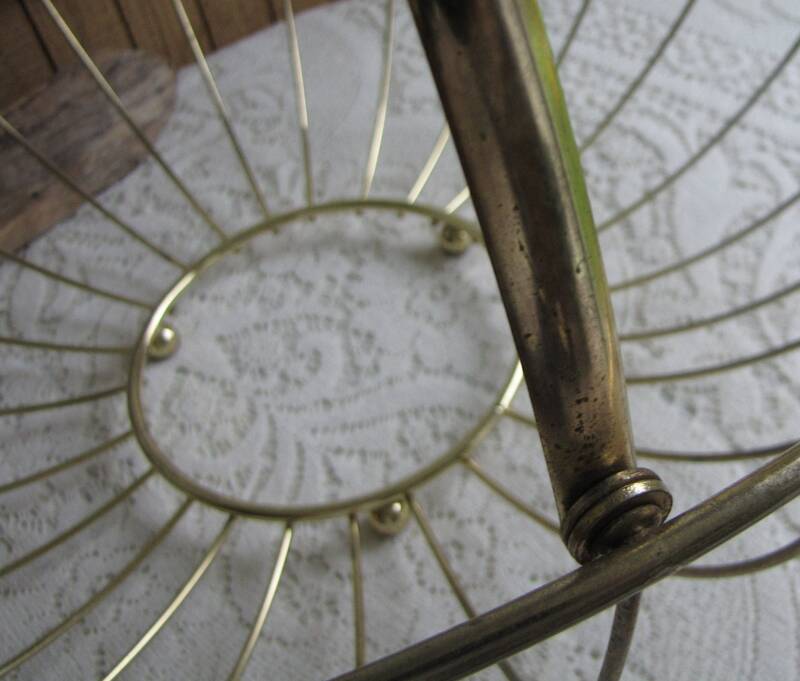 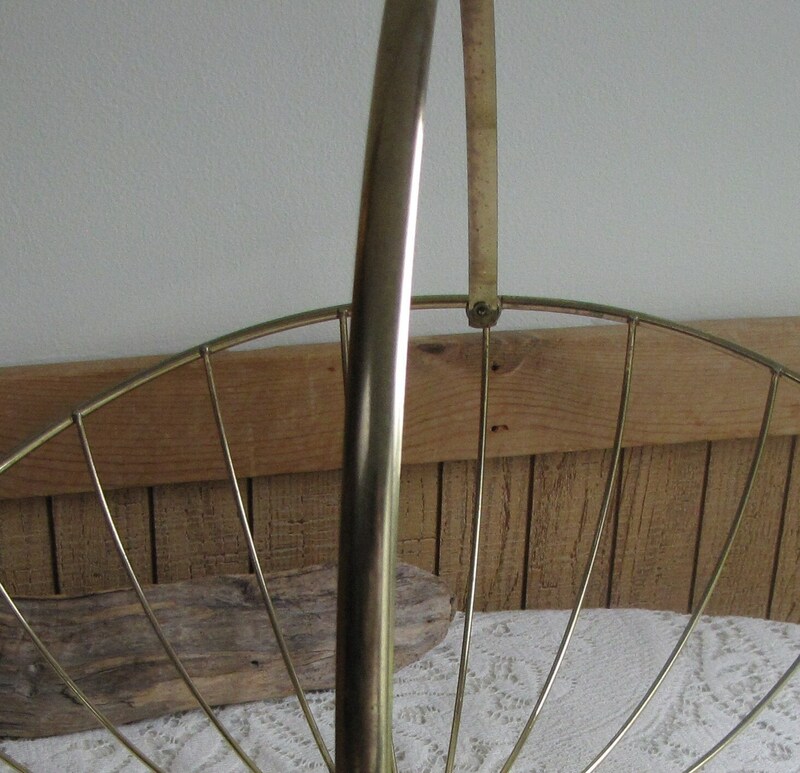 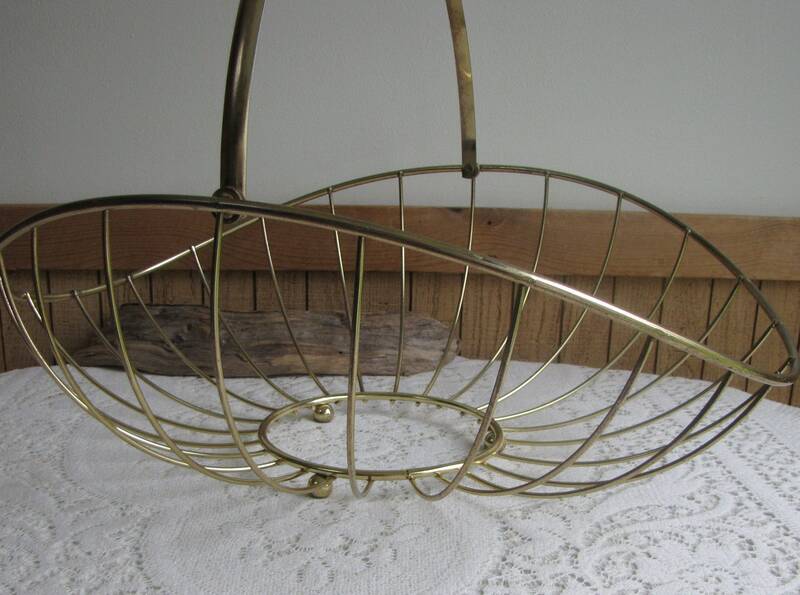 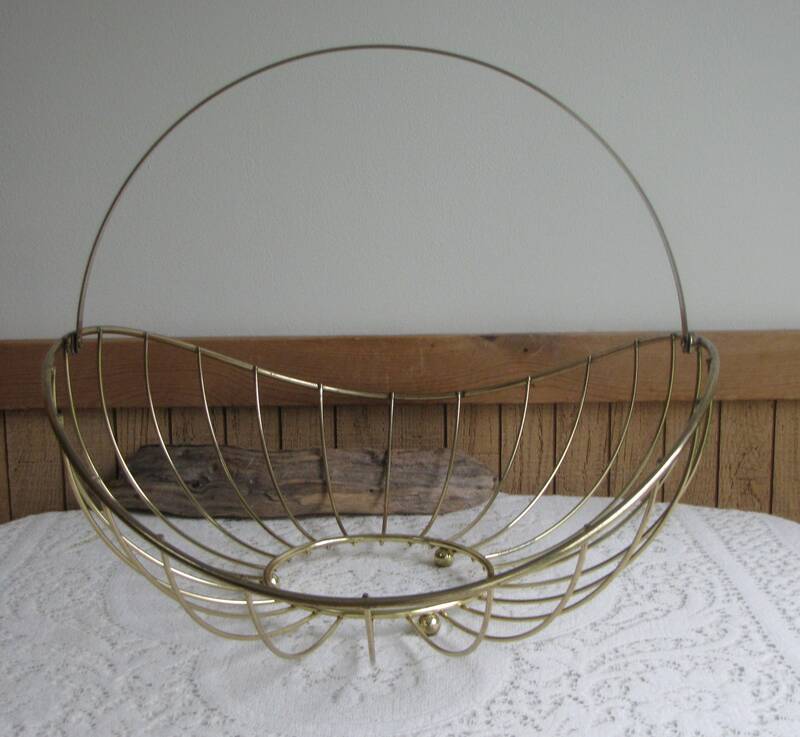 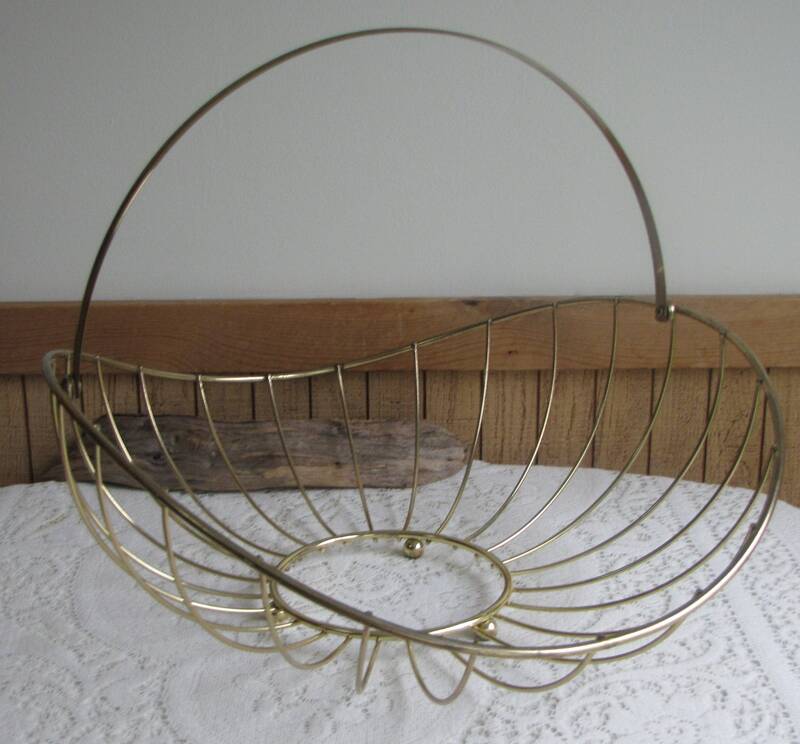 A large brass magazine rack or maybe a yarn basket that is in very good vintage condition; very little discoloration on the handle. 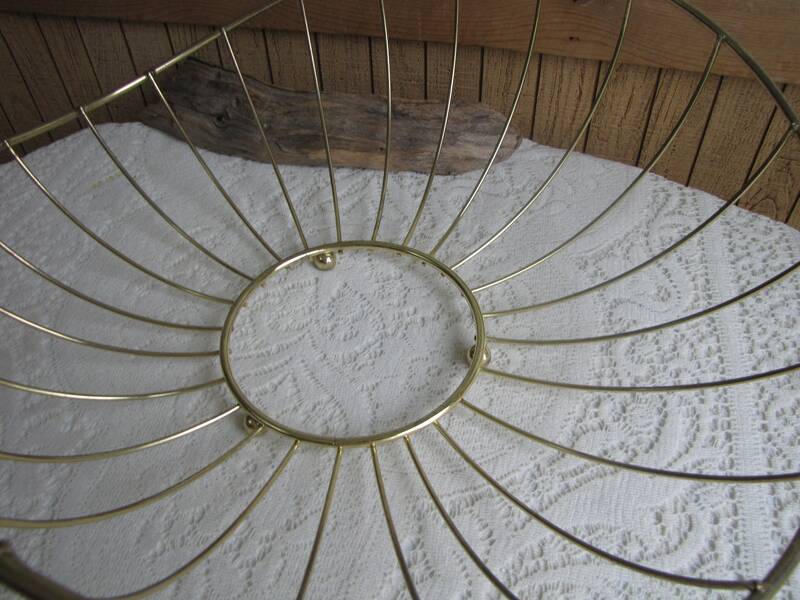 The base of the basket is 20 x 17.5 inches wide. 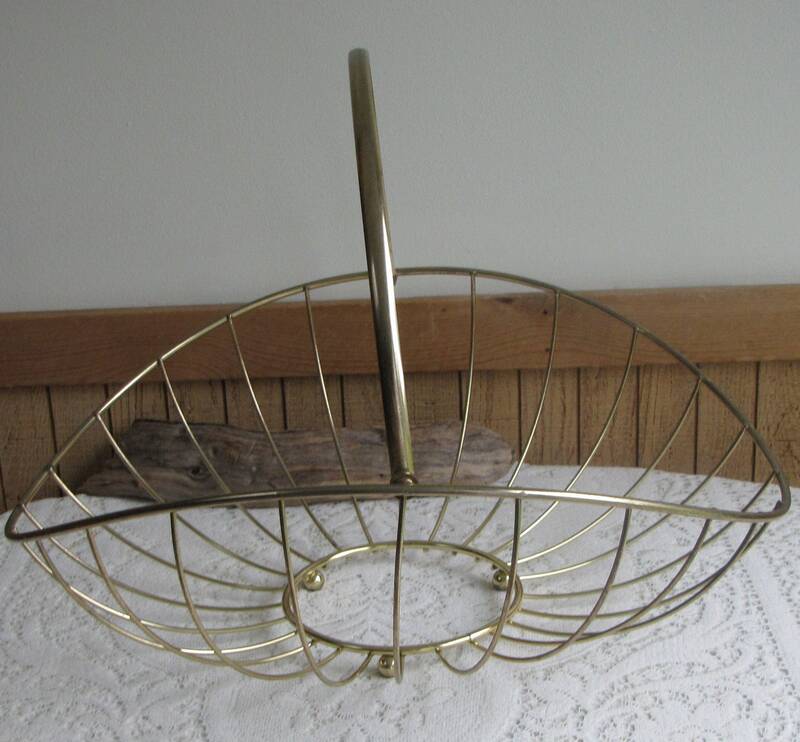 It is 7 inches tall at the bowl and about 17 inches tall with the handle up. 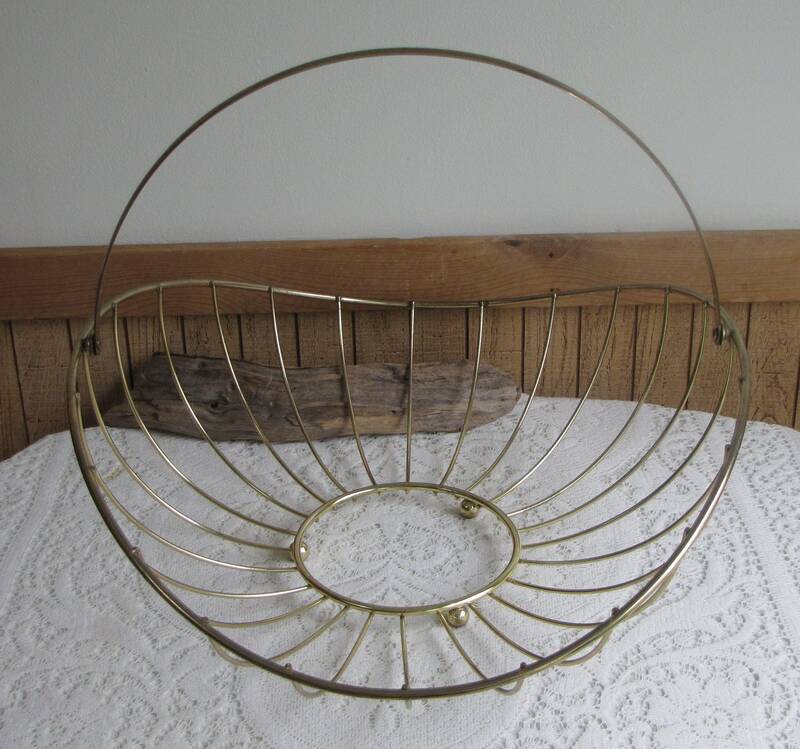 The basket has an open bottom yet I don't see any typ eof brace for something that may have been in place (maybe a wood or ceramic base).